Whether you’re looking for a new job or looking to make your next rock star hire, matching talent with opportunities is a time-consuming process. With Real-Time Profile Matches, a new beta feature that is included with every job posting on LinkedIn, we now hope to make it faster and easier both for users to find the right jobs and for hiring companies to find the right talent. Now LinkedIn members will be matched with job opportunities that they might otherwise miss, and hiring managers and recruiters will see qualified candidates immediately after posting a job. As a user, you may want to have your profile complete and up to date, to ensure that you are matched with the best possible jobs. This new feature works best when you've filled out the experience, summary and professional headline sections of your profile with details about your skills. How does it work? We use proprietary technology to identify the best candidates from over 60 million professionals on LinkedIn and we provide each job poster with up to 24 highly qualified matches in a new, business card-style format. 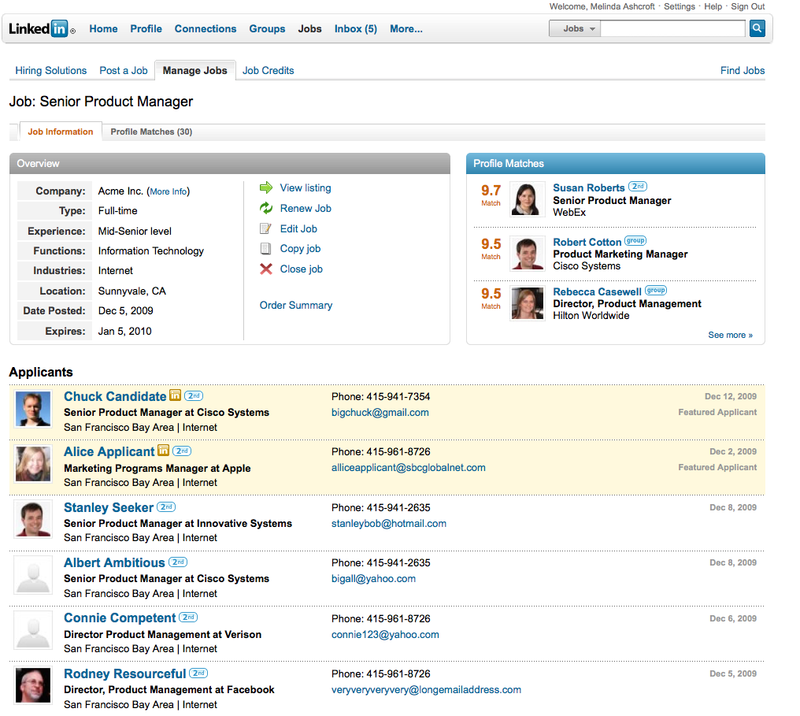 The job poster can view the profile of each match and reach out directly to those that are a good fit. Take a look at how profile matching can benefit your company - post a job and your matches will be instantly available for you to review. This feature is currently free for a limited period of time. 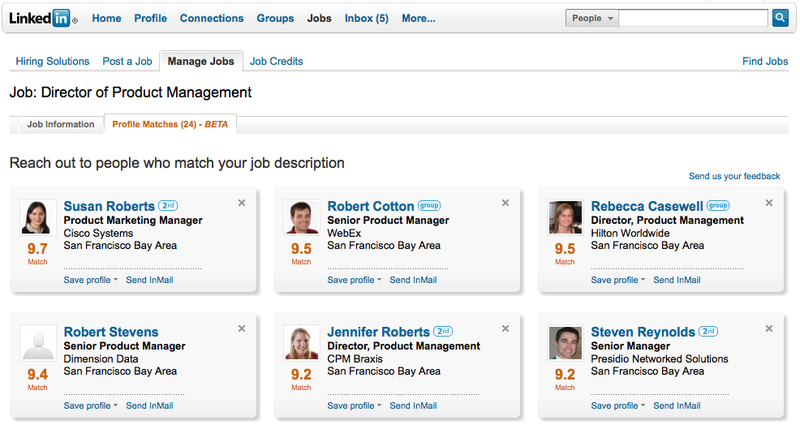 We’d love to continue hearing from you on how we can make this feature even better at helping match talent with jobs. Please leave a comment at the bottom of this post or message us on Twitter.